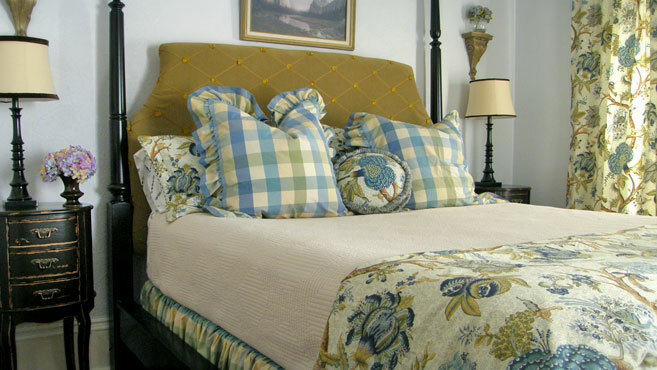 Enjoy your stay at our downtown Victoria bed and breakfast in the comfort of a spacious king-sized four poster bed with a duvet and a variety of pillows from soft to firm. The Eleanor has an attached (en-suite) 3-piece bathroom and quiet private balcony with views of the garden and the Olympic Mountain Range on a clear day. 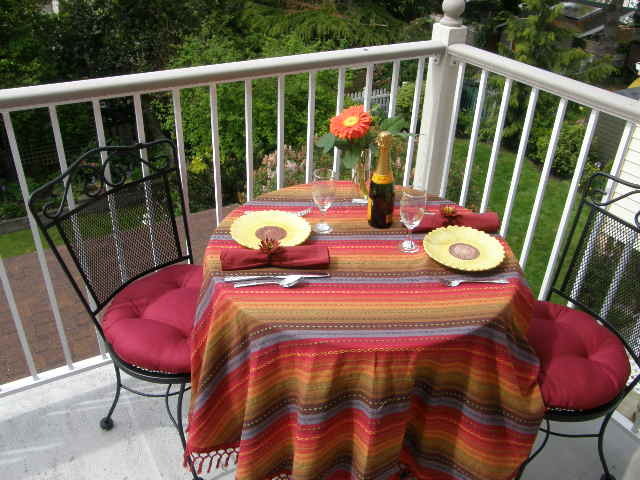 A patio set on the balcony makes this a great treat in good weather to enjoy a glass of wine at the end of a busy travel day. 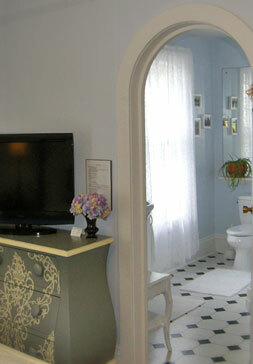 Now decorated in whites and lavender in a French Country style, the Eleanor En-Suite is quite a haven. *Rates are based on single or double occupancy.